It was in the year 700 AD, according to the Shoku Nihongi, an imperially commissioned history completed in 797, that the body of Dosho, a Buddhist priest with connections to the Emperor Momu, was burned on a funeral pyre in accordance with Buddhist practice. This is the first recorded instance of a cremation having taken place in Japan (though archaeological evidence suggests that the practice had begun 200 years earlier). Two years later, according to the same text, the first cremation of a (former) Emperor,was held. Though it would be more correct to say former Empress, since Jitto Tenno was in fact the 3rd of eight women to have occupied the Chrysanthemum Throne. From then the practice of cremation continued to spread among the aristocrats, high ranking officials and of course- Buddhist priests, in and around the old capital of Nara. From there cremation, along with Buddhism, spread throughout the realm- not as a custom or faith of the common people, but of the elite, or at least those closely connected with the government. This expansion was given a tremendous boost by the Emperor Shomu`s decree in the year 741 that an official Buddhist temple and nunnery be established in every province of the empire. These were called KOKBUNJI (国分寺) AND KOKUBUNNIJI (国分尼寺) and were, in fact, symbols of state power- with the monks and nuns chanting sutras and perfoming rites which would ensure the safety and prosperity of his majesty and the lands under his control. Because of this, already by the end of the 8th century, cremation had become an entrenched practice among the government officials and important families of the far flung frontier regions of eastern Japan- including what is now called the Northern Kanto Region- which includes what are now Chiba nad our very own Ibaraki Prefectures. Now, more than 1,000 years later, Japan is the country with the highest rate of cremation in the world. Nearly everyone, it seems is cremated- and though there are exceptions, these are VERY few indeed whose bodies are dealt with otherwise after death- the statistics say that 99% of Japanese are cremated (though the year of the geat tsunami was an exception). 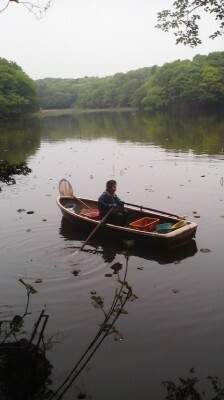 Does this current state of affairs show the result of a smooth and continuous spread of Buddhist funerary practices across Japan over the past millenium- or that Japan today is a devoutly Buddhist country? Cremation was NEVER universal in Japan- even among devout Buddhists, until the 20th century- it was just TOO EXPENSIVE,　large amounts of (valuable) combustible materials were needed to get the the time consuming job done. And it must also always be remembered that Japan never gave itself over to one single relIgion or philosophy- there was always strong competition from the native system of beliefs called SHINTO- and occassionally from Confucianism and Neo-confucianism (especially in the Edo Period 1600-1868) which saw cremation as a sinful desecration of the sacred human body. In fact, the last of the many Emperors to be cremated in Japan was Goyozei Tenno back in 1617- at the beginning of the Edo Period (though the current Emperor has announced that he and his wife will be cremated in accordance with common practice in contemporary Japan). Most surprising in this country now so predominantly cremation-oriented is the fact that the practice of burning bodies was actually BANNED in Japan between 1873 and 1875- because the government of the NEW Meiji Japan (established in 1868) had intentions of ridding Japan of any vestiges of the foreign faith- Buddhism. The Meiji goverment relented on this issue because of objections from Buddhists- and because of public health considerations. But probably the most important issue was the introduction of NEW TECHNOLOGIES which made the cremation process cheaper, less wasteful of resources, less smokey, and much FASTER. With huge increases in population and rapid development of all available land, there was also just LESS SPACE for burial (though it is in fact in the flat,spacious Tsukuba area that burial remained long popular- and continues-though rarely-to this day). If you were to ask your Japanese friends or acquantances about why cremation seems to be the RULE in this country, they will almost surely explain that burial is illegal here. The fact is, however, that it is NOT ILLEGAL (except for within most of the densely populated limits of Tokyo and Osaka Prefectures)- it has just become unimaginable ! This is due to decades of local governments strongly promoting the practice of cremation. .The Japanese also find small funerary urns more convenient than coffins for burying entire families together in a single grave- as is the custom now. 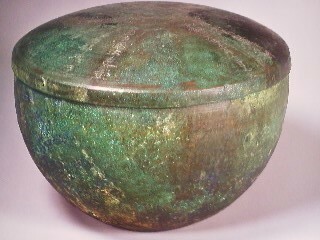 A bronze funerary urn found in Tottori Prefecture with the name of the deceased and the date of death (707 AD) engraved on its lid. Inscriptions bearing similar details have been found VERY RARELY- at less than 20 archaeolgical sites- all of them in western Japan. 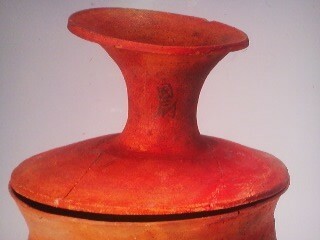 Here in eastern Japan there have also been only a small number of funerary urns discovered with writing on them. 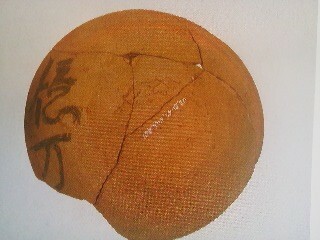 And the inscriptions that have been found NEVER give the same details regarding to the deceased.. There most often only consist one or two character inscriptions- many of vague meaning. It is even possible that some of the inscriptions have no relation to the deceased or the cremation at all- and suggest perhaps previous markings of vessels which had other uses before being used as urns. 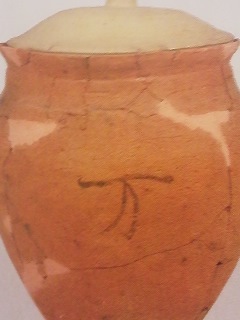 The neck of an urn with the characters for KUNI NO KURIYA 国厨 written on it. The KUNI NO KURIYA was the Office of Cooking and Cooking Utensils of the KOKFU (regional capital), which in the case of this part of Japan (Hitachi no Kuni) was in what is now Ishioka City. 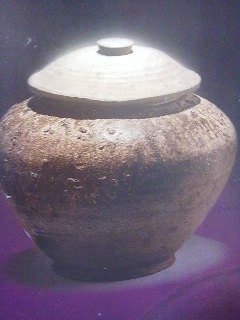 It is possible that this vessel, was taken to be used as an urn afther having been long used in a kitchen. At the beginning of November 2013, I visited the Ibaraki Prefectural Museum of History. 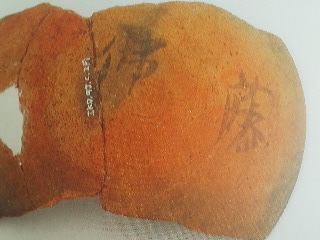 On display were HANIWA, the unglazed, hollow, earthenware figurines and cylinders which were used to decorate KOFUN- the large (sometimes immense) burial mounds in which the bodies of deceased Emperors and other men of power and influence had been interred in beween the 3rd and 7th centuries. The exhibition focused on the HANIWA discovered in the northern Kanto region- in what are now Ibaraki,Chiba,Gunma and Tochigi Prefectures. 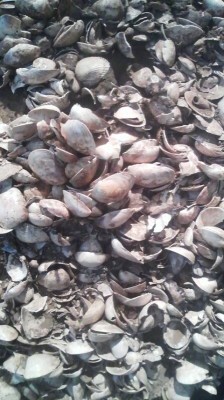 Many of the artifacts had come from the large tumuli near the shores of Lake Kasumigaura. Just a few days later I found myself at the small (but excellent) Tsuchiura Archaeology Museum at the site of the Kamitakatsu Shell Mound (just a 15 drive from the Tsukuba Station). 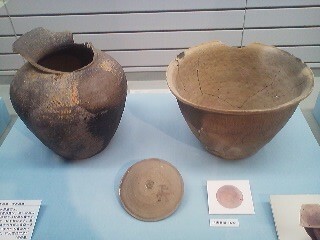 There, on display, were artifacts found in same area- around Lake Kasumigaura- and they were also FUNERARY ITEMS. 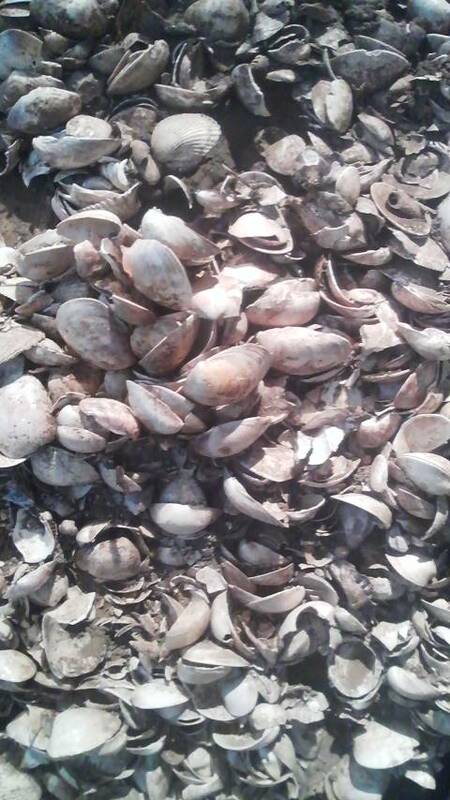 Though they were from the 9th and 10th centuries instead of the 5th,6th and 7th. And they illustrated a DRAMATIC break with the past in terms of funeral practices among the ruling class. Instead of intact corpses, stone burial chambers, huge mounds, bronze mirrors, weapons and horse trappings AND the HANIWA figurines were simple (yet surpringly beautiful and intact) were URNS which once contained cremated remains. 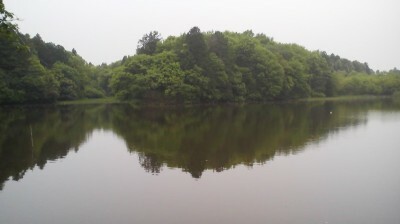 Just as the local strongmen who dominated this area and were buried in large tumuli had come to the area by ship and settled around Lake Kasumigaura- early adherents of Buddhism- government officials, warriors, and priests, arrived in the area and got around it by ship, and also settled around the lake. It was only that instead of building large burial mounds- they chose to be cremated. Making the urns found in this area more interesting is the fact that some of them were inscribed with Chinese characters- which at that time were also used only by the elite and which in some way were also symbols of the state- utilized for issuing decrees and for writing the household registers which had been introduced in the 7th century- and writing out Buddhist sutras- along with chanting, an important form of prayer. The Japanese court actively took up the task of introducing the Chinese writing system in the 5th century.Wa-Ni, a scholar from the Korean Peninsula (The Kingdom of Paekche) was invited to Japan to Oversee this daunting undertaking. though along with these there are no descriptions of the deceased`s- rank, and date of death- such as the inscriptions found on certain urns found in western Japan. Some of the other characters found on the urns in this area indicate a family ROLE, for example: 家長- HEAD OF THE HOUSE, AND 母- MOTHER or 父- FATHER. It could also suggest a lack of confidence, out in the provinces, in character writing ability. That could explain why sometimes only a single simple character- such as MOTHER or FATHER was written. 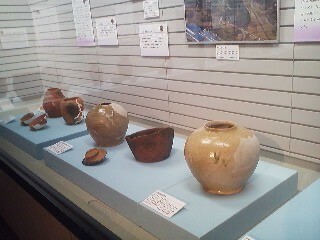 The small but memorable exhibition made it obvious that we know very little of the ancient cremation practices in this area. What was really striking was the BEAUTY of the ceramics themselves- even after having been in the ground for more than a thousand years, many were richly hued and eminated an earthy warmth- exuding WABI AND SABI before there even was WABI AND SABI. 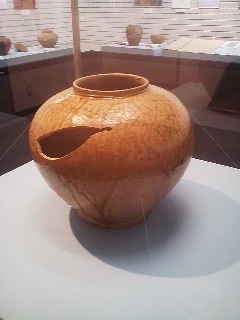 Once again, the curators of this small museum URN kudos for putting together an excellent exhibition.